“Watch The Hangover 2,” she replied. I didn’t, but just googled it. Can the girls really do that? Despite my curiosity about the ‘show’, it was one thing that didn’t feature on my itinerary when I visited Thailand earlier this year. Instead, I saw The Extravaganza Show by Thai Alangkarn Theatre in Pattaya. Yes, culture in Pattaya. Who knew? 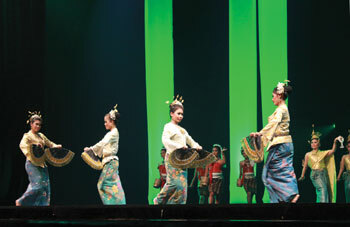 The hour long production is an elaborate visual retelling of Thai history. Warriors ride elephants onto the stage, acrobats swing through the air, dancers in flowing robes glide across. Never was a crash course in history this much fun. Unfortunately, the theatre is struggling to stay open. The 2,000 seater auditorium was only half filled during our visit. “We need to start attracting tourists of all nationalities to survive,” the theatre director said as we sat down for a preshow meal in the theatre’s restaurant. The menu as the audience were largely Chinese. The next stop in Pattaya was the Sanctuary of Truth. A dream project of Thai businessman Lek Viriyaphant who died in 2000 leaving his son in-charge, this Khmer styled building is an architectural marvel. 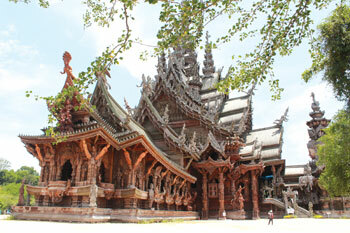 It is made entirely of wood and uses traditional Thai building methods without nails. The temple is festooned with carved Buddhist and Hindu sculptures. Although construction started in 1988, work is still ongoing. Pattaya as it turned out was not all about Walking Street. While the infamous red light district continues to attract most of Pattaya’s tourists, for us the chance of getting a mani-pedi at the beach was more appealing. At 400baht, it is a suprisingly affordable luxury if you need some pampering. If Pattaya was a pleasant departure from a sleazy stereotype, Chiang Mai makes Nepalis think of home. 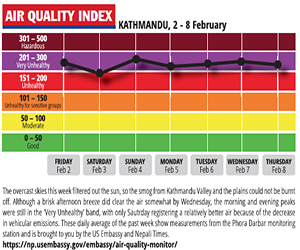 The northern city looks and feels like Kathmandu minus the pollution. Doi Suthep, the most famous of the wats here sits peacefully on a hillock and as it’s lit up at night, the image of Swayambu during full moon comes to mind. Temple-hopping is the popular past-time for visitors, so are visits to the three national parks in the vicinity. Chiang Mai’s best food is the street variety. A 40 baht braised pork meal whipped up by a sidewalk cook in a cowboy hat was a much more intense treat for the taste buds than the 1,000 baht dinner at a posh new restaurant. Shopping in Chiangmai is best done in the night bazars, and the best place to pick up knick knacks for folks back home. A student bazar set up by university students has the best prices but less variety (in terms of sizes). But you can always head over to Central World where the international fashion retailers have their boutiques. Compared to Bangkok’s Central World, this one is easier to navigate. Back in Bangkok, it was raining so a visit to the Art in Paradise interactive art gallery was in order. It encourages visitors to be their goofy self by posing for paintings. Great place to spend a couple of hours making for more than a dozen instagram posts. Khao San Road is a hipster haven. Imagine chairs and tables of bars in Thamel all pulled out on streets, revelers dancing the night away, size 6 hostesses for waiters and you have it. Shop, dance, eat, get massages all on this one street that is usually filled with young Europeans. You can try the fish spa, and get a foot massage right after. 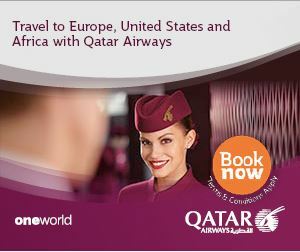 Rates are half the prices back home. I tried both and more all in a day. After all, I had to make the most of my last day of a Thailand holiday. As the travel hub of Southeast Asia, Thailand has emerged as the most popular outbound destination for Nepalis after India. With its rich Buddhist culture, immaculate white-sand beaches, memorable cuisine and a world-renowned hospitality, there is something for everybody. 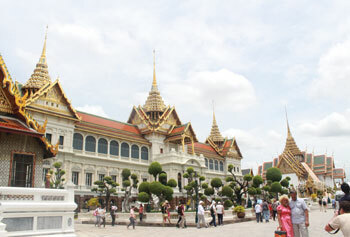 Yet, most visitors flock to the popular trio in the north: Bangkok, Pattaya and Phuket. While there’s no denying the allure of these cities, it pays to go off the beaten path. To discover a Thailand not yet encroached by hordes of tourists, head over to Nakhon Si Thammarat, the second largest province in southern Thailand. Although not quintessentially picturesque as the other parts, travellers can immerse themselves in the culture in this historic town. 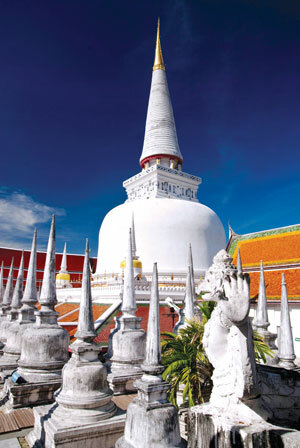 The capital city of Nakhon Si Thammarat was the historical center of Buddhism in ancient Thailand and, to this day, boasts a flourishing Buddhist culture. Buddhism is an integral part of daily life here, with a temple or a shrine scattered in every corner. The locals are devout Buddhists and collectively celebrate Buddhist festivals such as the Hae Pha Khuen That Festival in February. Celebrated at the Wat Phra Mahathat Woramahawihan temple, and unique to the southern province, locals take part in the parade holding a religious cloth, called Phra Bot, which depicts various aspects of Buddha’s life. They continue the procession to the temple to wrap the cloth around the pagoda for good fortune and success. The entire town comes out dressed in white for the procession and portions of the city centre are entirely blocked for pedestrians. Although religious, the processions are also light-hearted as locals play music and dance along as they make their way to the temple. Closer to the temple, street vendors sell flowers and incense sticks and Pali chants singing ‘Buddham Saranam Gachhami’ reverberates throughout the complex. With the ambience and music, walking in the procession is reminiscent of taking part in a jatra in Nepal. 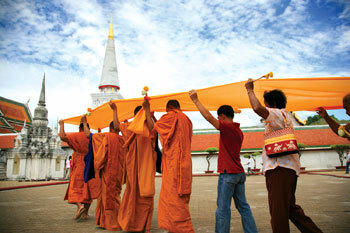 The festival is held twice a year, on Makha Bucha Day in mid-February, and Visakha Bucha Day during mid-May. For those interested in learning more about how Buddhism travelled from Nepal and India to Thailand via Java, Nakhon Si Thammarat should be on the culture part of your Thai itinerary.